It's not unusual, when you look at one of Kentucky's historic Thoroughbred farms, to find the land has changed hands through the ages. Each new owner brings a little of their own flair to the operation; bloodlines and business plans change. There is something of an exception on one piece of property along Old Frankfort Pike in Lexington, where two different owners took similar approaches to success. Idle Hour Stock Farm, as it was known under Col. E.R. Bradley, and Darby Dan Farm, as the property has been called since John Galbreath's reign, both made their mark on the American Thoroughbred by mixing it with European blood. Idle Hour was born in 1906 when Bradley bought 336 acres formerly known as Ash Grove Farm and renamed it. Ash Grove had been a base for a Standardbred operation in the late 1800s. Idle Hour was something of a prescription for Bradley; the Colonel had started his life working in the steel mills of Pennsylvania, then moved west, where he learned the business of gambling. 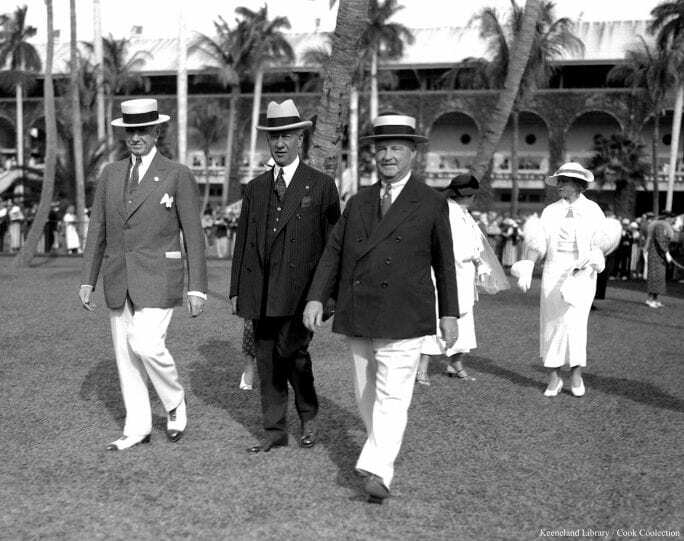 He owned the Beach Club casino in Palm Beach and was a partner in an El Paso gambling club with his brother John. In 1898 he saw a doctor in Chicago for an unnamed illness and legend has it the physician suggested an active, outdoor lifestyle. In an era where sporting gentlemen took their country air on horseback, Bradley translated this suggestion to mean he should buy a racehorse. He bought a colt named Friar John the same year and won a $300 race in the debut of his silks. Bradley did it in 13 years with Behave Yourself. Bradley was an experimenter, happy to invest in ideas to see where they might lead. He put money into Fair Grounds with little success, but had better luck with a share of Hialeah Park. He introduced the skull-cap helmet, which would become popular with jockeys for most of the 1900s, and even experimented with eyeglasses for horses (which went about as terribly as you might guess, as the horses panicked when their vision was suddenly blurry). He was also interested in experimenting with bloodstock. Idle Hour's foundation stud was Black Toney, a $1,600 purchase from Castleton Stud, but he also imported mares Vaila, Padula, Macaroon, Mailbird, Silver Hue and critically, La Troienne, who would go on to produce Bimelech and Black Helen. La Troienne's name can be found in the female families of Busher, Easy Goer, Sea Hero, and Princess Rooney. She also figures in the pedigrees of Empire Maker and Tapit. Bradley died in 1946, having won three more Kentucky Derbies and leaving behind a farm which had grown to nearly 1,300 acres. Idle Hour was sold to a syndicate of Greentree Farm, Ogden Phipps, and King Ranch. In the mid-1950s, owner/breeder John Galbreath came knocking at the door with big plans. 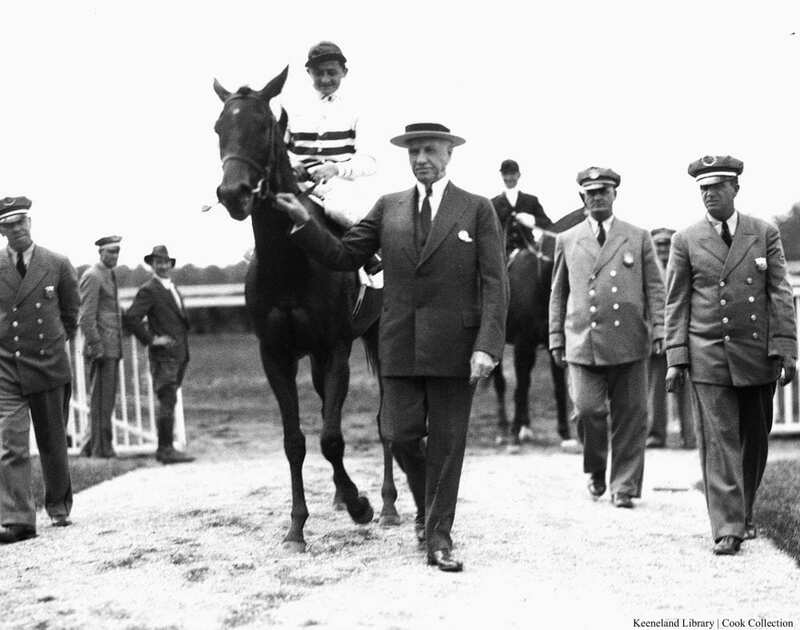 Galbreath made his money in real estate and construction and began breeding Thoroughbreds in the 1930s. By the mid-1950s he had become a student of the relationship between American and European stock, and developed a three-part plan to change the breed. He pursued ownership in Swaps, the 1956 Horse of the Year whose female line included three producers of Kentucky Derby winners. Galbreath paid $2 million to get the horse in his stallion barn. He then negotiated a deal to lease Ribot, Frederico Tesio's champion in Italy, United Kingdom, and France who was just four years into his stud career – an awkward time to pick up a stallion. Galbreath agreed to pay $1.35 million to lease the horse for five years. 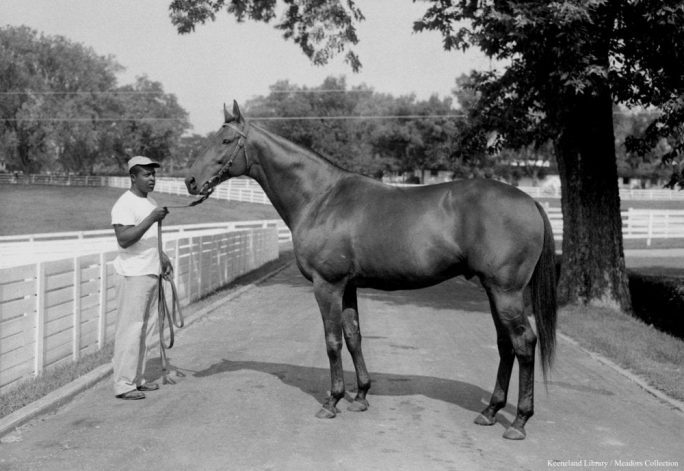 “My aim is to breed and raise a race horse which, over any distance, can carry the heaviest weight in the shortest time,” Galbreath told Sports Illustrated in 1959. Luckily for Galbreath, Swaps and Ribot struck gold. Swaps gave them Kentucky Derby winner Chateaugay, while Ribot got His Majesty and Graustark. Homebreds Roberto, Little Current, and Proud Truth continued validating Galbreath's faith in his gamble. Graustark would go on to sire Key to the Mint, while His Majesty would sire Pleasant Colony and become leading American sire of 1982. Ribot, as it turned out, would stay with Darby Dan longer than the five years in the lease agreement. His temperament proved so hostile there was not an insurance company that would cover shipping him back to Europe. He lived at Darby Dan until his death in 1972. Today, Darby Dan has pivoted from a breed-to-race to a commercial model, mostly standing outside stallions under John Phillips, Galbreath's grandson. This entry was posted in NL Article, Ray's Paddock and tagged black toney, Col. E.R. Bradley, darby dan farm, horse racing and breeding, idle hour stock farm, john galbreath, Kentucky Farm Time Capsule, ribot, thoroughbred by Natalie Voss. Bookmark the permalink.